University of Miami athletics released some devastating news Jan. 21: sophomore cornerback Malek Young will undergo career-ending neck surgery because of an injury sustained during the Dec. 30 Orange Bowl game against Wisconsin. It was reported on CanesInSight.com Jan. 20 that Young’s career looked to be over because of an injury to the vertebrae in his neck. UM confirmed the report the following day. Young, who played in all 13 games for the Hurricanes this past season and recorded 43 tackles and two interceptions, has received an abundance of support from teammates, coaches and Miami alumni. 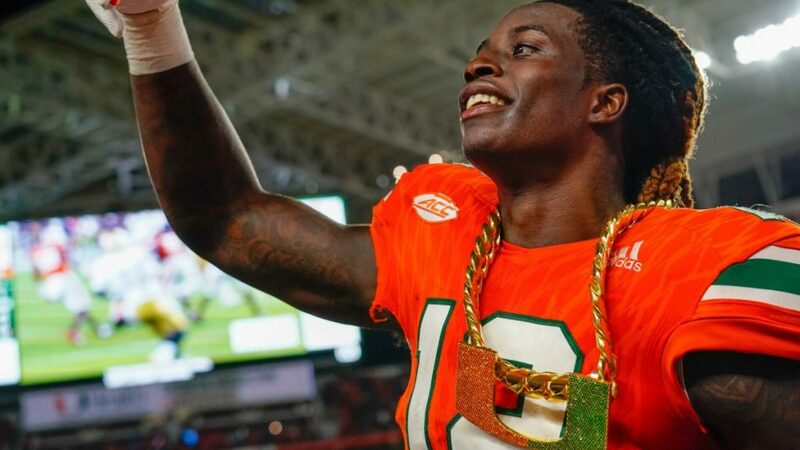 The Fort Lauderdale native was one of Miami’s best defensive backs in 2017 and received national attention as the first Hurricane to wear the Turnover Chain back in the season-opening 41-13 victory over Bethune-Cookman Sept. 2. The University of Miami medical team will perform Young’s surgery.